Apparel design software helps fashion designers and clothing manufacturers design clothing or clothing patterns. These solutions provide designers with tools to create initial design drawings, product specifications, and even individual pattern pieces. Designs created by the design team can be shared with team members or other departments and go through multiple rounds of approval until a final design is reached and ready for manufacturing. Apparel design software may contain similar features to drawing software, vector graphics software, and general-purpose CAD software to create 2D designs and 3D mockups. It may also integrate with apparel business management and ERP software to aid with the manufacturing and prototype approval process. Apparel Design reviews by real, verified users. Find unbiased ratings on user satisfaction, features, and price based on the most reviews available anywhere. 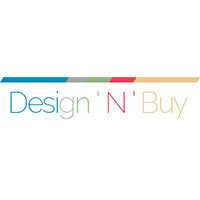 Design’N’Buy is a web-to-print software solution company facilitating web to print software, services and customized solutions for Printing Industry. Being one of the pioneer of web to print technology in India we have 500+ successful implementations of our printing storefront solutions in 40+ countries and we are still counting. inkXE T-Shirt Design software is a web to print solution tailored for businesses who sell customized t shirts and other apparel. Customers can customize and design their t-shirts online during the buying process. Whereas business owners can manage their print industry from one tool. It provides robust features to meet all your product customization needs. 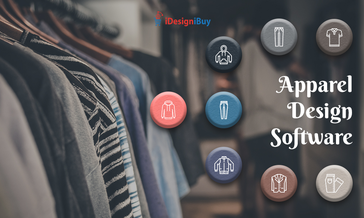 iDesigniBuy is a custom clothes designing website software that includes all the impressive features of advanced shirt and suit design tool. Create is the 2D CAD suite for creating and editing patterns. It is possible to create patterns from scratch or to digitize them using the optical pen, scanner or blackboard, with of Survey and Draw modules. 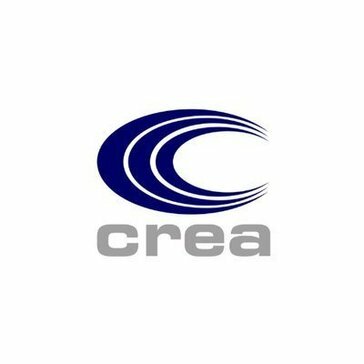 With Create you can directly import proprietary formats, maintaining so all the seam information and internal extensions such as notches, buttons and holes. Create Professional Fashion Sketches and Design Your Clothing With Digital Fashion Pro Fashion Design Software for Fashion Designers, Clothing Lines, Beginners, High School & College Fashion Design Classes. Digital Fashion Pro is a complete system of Training, Digital Fabrics & Hundreds of Customizable Clothing Templates that allow users to create professional fashion design sketches even if you can't draw. Super Easy to Use. Anyone can create amazing designs. PAD software is designed to ease the workload of fashion designer and pattern designer with contemporary CAD software, facilitating higher flexibility for pattern & marker design. B2B Collaborative Fashion Design platform. Create fashion online with our modular design database. More than 10 million possible combinations. Build tech packs and line sheets in minutes without any struggle. Define your measurements, construction details, packaging information, label artwork and generate customised tech pack PDFs. Share, send and communicate in real-time your latest designs with others. Allows you to create ready-to-wear collections and to release your technical files quickly and efficiently. Quick and accurate pattern design, using basic design tools and advanced geometrical procedures. Marker Making Suite can Pattern Design, Grading, Marker Making, Nesting and 3D for full design, optimization and visualization of your designs in the pre and post production steps. Mushin is the digital collaborative platform and app for brands and retailers to create better products faster and on budget. We digitize the creative process to boost product teams creativity and help them create more coherent and trendy collections. We also connect brands with their strategic suppliers to accelerate the product development process and make it cost-efficient. Mushin is all about creation, from inspirations to products. OptaCut helps you minimize fabric wastages, control leakages and execute orders faster. OptaCut suggests fabric consumption close to the actual value using Artificial intelligence and big data analytics. OptaCut allocates rolls to markers in an optimal way to minimize end bits. PolyNest provides unparalleled productivity and ease-of-use. Functions include: pattern design, marker making, automatic marker making, grading and digitizing, cutting/plotting and DXF and AccuMark translators. A complete CAD system for pattern design, grading, marking, and automatic marker making. PolyPattern is not like other CAD systems. With PolyPattern, you'll work with greater speed, accuracy, control, and unbelievable ease. SmartDesigner is an exciting new breed of CAD solution for the apparel, textile and related industries. Combining industry-specific design features with an intuitive user interface, SmartDesigner extends your creativity and shortens your product development cycle. As a teaching tool SnapFashun quickly and easily teaches students the indispensable tools of Illustrator that the fashion industry requires. This teamed with their learning the correct names of fashion details and silhouettes is the beginning that gives them the verbal and technical skills required to work in the industry. CAD and Textile CAD software will help you avoid making unnecessary samples, become more responsive to customer' requests and sell more garments by having the right sales presentation materials at the right time. In addition to all the Digital Design tools it has devised and engineered a large number of Functions that help a Garment Designer work digitally, similarly to working by hand. Create your own blocks and styles, build-up your own style library, modify and adjust existing blocks and create fully professional collections. Upgrade this software with the Automatic Patterns feature and get your own pattern blocks with a click of a button. Automatically created blocks can be retrieved in any size. Advanced pattern making, grading and marker making system that will streamline your production process and reduce operating expenses. Built-in audio/video help, loads of TUKAtips and the option to buy or sign up for a monthly subscription are just some of the advantages of this award winning pattern making software. Hi there! Can I help you find the best Apparel Design solutions?